There was a time in my life when I thought waking up at 7AM on a Sunday was just about the worst thing that could happen on a weekend. To be fair, though, there was also a time in my life when I thought denim on denim was acceptable and that the Backstreet Boys had some cool songs so I guess I haven’t always made the best decisions. As it turns out, denim on denim is not okay (ever) and I can even admit that the Backstreet Boys were not that great (sorry, 14-year-old super generic girl). On top of that, getting up early on a Sunday is scientifically proven (by me) to significantly improve your weekend. This last statement proves even more truthful if, as based on empirical evidence collected today, you’re getting up early to drive an hour north to one of the most beautiful places in the region for the first of a series of trail runs that will keep me out of trouble throughout winter. It only took me two Xterra events and approximately 10kg of mud in my washing machine last year to realise I wanted to do them all this year (that was even one of my new year’s resolutions). Last month, because I apparently hate having money in my bank account, I signed up for the whole series (all six events, from now until September). I figured that at least, that way, I couldn’t chicken out when the weather gets really miserable. Today’s Xterra event in Shakespear Regional Park was the first of what promises to be an epic season of winter trails. I played it safe (which is only one level up from chickening out, but will do for me right now) and entered the mid course, which meant I only had to run a little over 10km. But 10.5km on trail and 10.5km on road are two completely different things – almost not even the same sport. There were some big hills to get over, the type of stuff you run/walk up and then almost struggle not to slide down, but there wasn’t nearly as much mud as there could have been, which made things easier. My love for trail running has been growing by the bucket load lately (just in case you hadn’t noticed). It’s easy to dismiss it because of the whole logistics of actually heading out to the trails (it’s not exactly hard but it’s definitely harder than just heading out your front door for a road run around the neighbourhood) and it’s easy to tell yourself that, you know, running is running and you can run anywhere so head out the door and run. Except not really. Actually, not at all. I have to keep reminding myself that no amount of road running can make me half as happy as running on the trails does, for reasons I’m not even sure I can explain. No 10km on the road can compare to an Xterra 10km or any 10km out on the trails. You can ask me why but the question will go unanswered. I have no idea why. All I know is that I didn’t want today’s run to finish when it did (I wanted to be done with the uphills, but I was perfectly happy to slide downhill for a while longer) and that’s pretty much the best testament of a good time. It’s also always a good sign when you come home from a run and immediately look up when the next one in the series is going to be. Riverhead Forest and I have a date on June 9th. And you. You should definitely come along too. P.s. : Chris was kind enough to welcome a group of sweaty runners into his home for coffee and food after the event today. This kind of support crew is hard to find. P.p.s. : I hope none of my former English Lit teachers read this and think I can’t spell Shakespeare’s name. I swear I can. Blame whoever named the park. 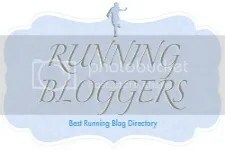 Categories: running | Tags: auckland, fitness, new zealand, outdoors, running, shakespear regional park, trail running, XTERRA | Permalink. Epic! What a gorgeous day for it too. Looks and sounds like a tonne of fun! Yeah, I saw those! They look really good – will definitely try to make it to at least a couple! This is definitely on my list for next year! It was an awesome day wasn’t it? I was cursing Total Sport at one stage (perhaps halfway up that big hill?! ), but the minute I crossed the line all was forgotten! Jeaaaaaaaaaaaaalous face!!! This is, basically, everything I love about trail running. And while I’m lucky enough to have a few small trail networks at my disposal in the middle of a big ‘ole city, it’s nothing like miles and miles of wilderness…. And NOTHING beats a run that you’re swearing at WHILE running, but chortling and reminiscing over the moment you cross the finish line!! Soak up that trail-y goodness for me. Please! I would run if I had land around like that. WE have a lot of meth addicts walking around where I live, so I try to avoid running. in increasing numbers that are easy to find.